Jarons allows for sales orders to be cancelled within 72 hours with a full refund. Refunds will be made via the original method of payment. If you have paid by cash or check the refund will be made by company check, we do not have cash refunds. Company checks are mailed every Thursday. If you have paid by personal check Jarons will wait 14 days for the check to clear before issuing a refund. Special orders cancellations within 72 hours are subject to a 30% restocking fee. Furniture delivered to or picked up by our customers is not returnable or cancelable. In the unusual occurrence that an item arrives damaged, please notify the delivery team or customer service at the store or delivery facility. Arrangements will be made to send a qualified furniture repair technician to your home to inspect the furniture, correct the problem, and provide appropriate service. 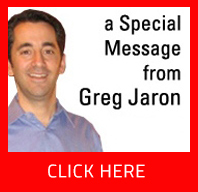 Jarons reserves the right to repair or replace furniture as deemed necessary at Jarons discretion. In the event that a return of furniture is authorized within two days of delivery due to no fault of Jarons, a 20% restocking fee will be charged. No credits will be given for delivery or pick-up charges. Furniture delivered by Jarons that is not defective will be picked up by Jarons for a pick-up fee equal to the normal delivery charge, in addition to the 20% restocking fee. If furniture (excluding bedding) is returned in original new condition, the balance of the purchase price will be returned after deducting the restocking fee and any delivery or pick-up charges.